Beauty supplies shop on London Road. 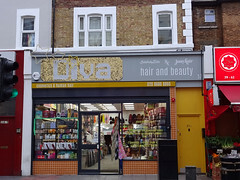 As of December 2011, the frontage advertises "cosmetics & human hair". Last edited 2018-12-25 16:51:29 (version 36; diff). List all versions. Page last edited 2018-12-25 16:51:29 (version 36).